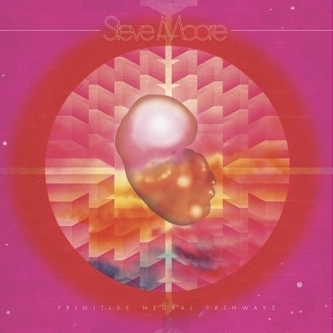 *A repackaged double CD to combine the out of print limited vinyl issues of two Steve Moore solo albums* Steve Moore, he of Zombi, Lovelock and Titan fame, presents his second solo outing for Static Caravan with the advanced synth visions of 'Primitive Neural Pathways'. 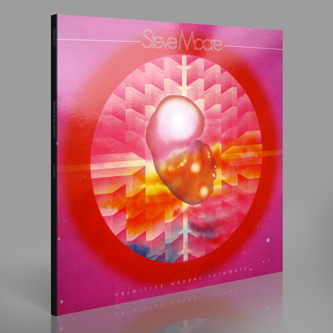 Benefitting from a sterling mastering job by renowned synth boffin, Benge, this is among his most beautifully realised efforts to date, enveloping his sound with a most succinct narrative while erring ever closer to the almost unreachable authenticity of seminal works by Tangerine Dream's Edgar Froese or Jean Michel Jarre. His cinematic senses are tingling with the languid love scene lather of opener 'Orogenous Zones', full of orgasmic Gynoid sensuality and deep space suspension, followed into the fluttering cosmic pillow-talk of 'Feel The Difference', a Sainsbury's-endorsed confection of electron spumes and gaseous, pink-hued harmonic constellations propelled gently through the galaxy by sumptuously padded bass. Just as you think it's all lush outside, 'C-Beams' ups the ante with NRG synth bass and narrowed-eye video game tension, before the titular album highlight leaves us marooned on a distant planet, full of life-sustainingly positive melody, swirling electromagnetic synth gusts and purposeful bassline gravity. As we settle down to life on the new planet, the baroque closing theme of '248 Years' gazes off into the distance at a tiny Terran speck in an eternal night sky. Highly recommended to fans of OPN, Stellar Om Source, Arp or classic Sci-Fi themes!! !